The Ease of Doing Business Forum has received 260 submissions for simplifying approval procedures and other issues, the Finance Ministry revealed this week. “Up to now, 260 queries have been submitted through the Ease of Doing Business Forum and the Ease of Doing Business Unit (EODB Unit) of Ministry of Finance has successfully managed to resolve most of the issues raised by the business community,” the Finance Ministry said, following the conclusion of the 5th Forum this week. The EODB Unit is working actively with the relevant Government institutions to provide prompt solutions to overcome issues faced by the private sector in doing business in Sri Lanka. The Fifth Forum of Ease of Doing Business was successfully held on 1 December. Minister of Finance Ravi Karunanayake chaired it along with State Minister of Finance Lakshman Yapa Abeywardena, Secretary to the Treasury Dr. R. H. S. Samarathunga, and Advisor to the Ministry of National Policy Planning and Economic Affairs R. Paskaralingam. 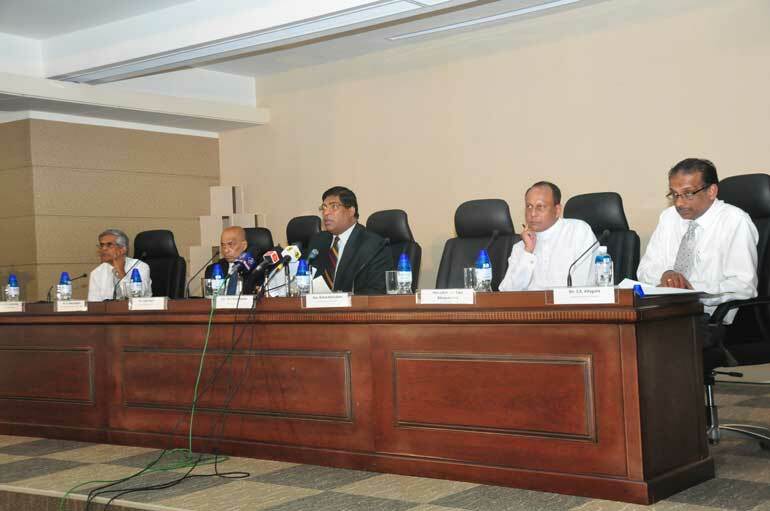 The Finance Ministry said around 75 representatives of the private companies participated at the forum and their issues were presented to the panel and suggestion/solutions were given to them by Minister Karunanayake together with the other panellists. Among the queries presented, two of the key issues addressed in this forum are raised by Neil Fernando and Co Ltd. and Global Sea Food Ltd.
One of the leading boat manufacturers, Neil Fernando and Co raised the issue regarding the delay in getting approvals in proceeding with boat trials. This process was simplified by the Ministry of Defence, agreeing to move forward only with the Sri Lankan Navy’s approval which will provide a conducive environment for boat manufacturers in Sri Lanka. Similarly, as a solution to the query raised by Global Sea Food Ltd, the Minister of Finance instructed the Ministry of Health to re-evaluate and restructure the current testing carried out by Atomic Energy Authority in granting fish import shipment clearance, according to the accepted norms of International trade. Further, addressing other queries presented, the Minister of Finance instructed the relevant Government officials to take necessary action in solving the raised issues immediately.